Play Audio! | 107:57 min. By Speaker. 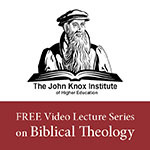 Show newest sermon by: John Knox. This has been called John Knox's most important political writing. It also deals with Romanism, God's law and much more. The full printed version of this text is free at http://www.swrb.com/newslett/FREEBOOK/JKnox.htm or for sale in Knox's 6 volume works at http://www.swrb.com/catalog/K.htm.